Although a credit card may seem like a great choice, in the long run it’s a big mistake. Consumer credit can be used to help us out when we’re in need or make spending money on the things we want convenient and easy. Unfortunately for you, “convenient and easy” doesn’t come free. Using a credit card can come with unwanted and long- term effect. Aside from running up credit card bills, there are a few other bad side effects. Here are a few tips that allow you to notice and avoid dangerous credit card mistakes that you may be making. The longer it takes to pay off a credit card, the higher the interest rates increase. This is why it is important to pay it off as fast as you can. You do this by not just paying the minimum the bank requires you to pay each month but by paying as much as you can at the time. Every bank calculates what the minimum is for you to pay each month. To discover how your bank calculates this, visit your credit card issuer’s website. This site may provide a calculator that can show you how much money, how long and the amount of interest you’re required to pay when you just pay for the minimum amount. 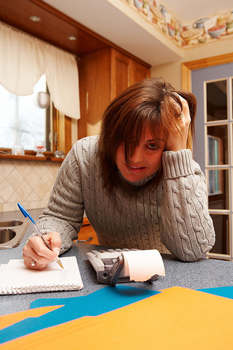 You can also use this credit card debt calculator. Your Payment history totals 35 percent of your credit score making it the largest component. This is because companies want to know your history of payments to know exactly how reliable you are when it comes to paying things back. The later your payments, the lower your credit score. If you make late payments, this could result in having late fees from the bank you use. This will cost you more money and make the minimum you pay each month, increase. “Amount owed” adds up to about 30 percent of your credit score. The borrower’s utilization of credit ratio is the amount of credit you utilize. Each one of your accounts and the final amount of each one your accounts are analyzed to generate a score. If your utilization ratio is very high then it can damage your credit score and impact the ability you have to receive a loan. In addition, you will have a smaller amount of credit when emergencies arise. 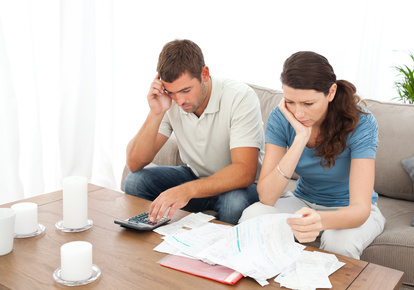 Utilization ratios that are high could mean you have deeper financial problems. If this is you, you may want to think about budgeting. There isn’t a set number, but many finance experts suggest keeping your utilization ratio a little below about 30 percent. It is important to continuously look over your bank statements each month. If you skip doing this, you could miss some important activity such as a charge for something that you didn’t actually buy. You could be victimized by identity theft and not even know unless you check your statements. Ignoring your statements could result in complacency of personal finances. If you don’t stay on top of your finances, it becomes harder to reach any kind of personal finance goal. Make sure to set aside some time each month to look over your statements. It is important to know how your credit card issuer comes up with their interest rates, how their fees and late fees work and how their fees on cash advantages apply. It is required that your bank provides you with all this information in an easy-to-understand format called the “Schumer box”. Before applying for any type of credit account, make sure you read and understand the terms in the Schumer box. Each time you sign up for credit cards, it causes an inquiry on your credit score. Just a few inquiries won’t affect your score, although multiple within a small period will hurt your score. One out of three credit bureaus states that the better your credit, the less small score adjustments will effect you. The worse your credit it, the bigger small score adjustments will effect you. Note that if you make multiple inquiries within 30 days, while shopping rate auto loans or home loans, they are determined as one inquiry. Make sure to acknowledge the interest rate your bank may charge for advances in the fine print. 23.53 percent is the average for cash advances. Some banks can charge up to 36 percent for an advance. Cash advances are more dangerous because the bank can start applying interest as soon as you take the advance along with a 5 percent fee for getting the advance.